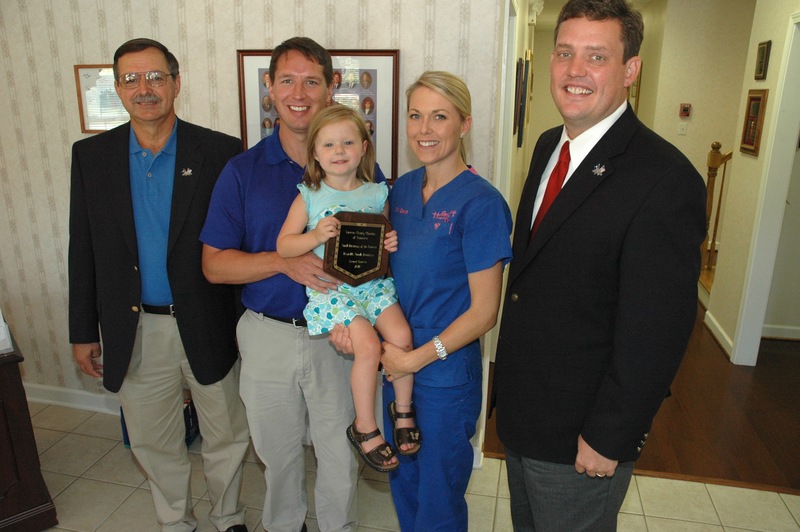 Reynolds Family Dentistry was recently awarded “Small Business of the Quarter” by the Laurens County Chamber of Commerce. A big thank you to everyone who helps our business succeed! Awards like this would not be possible without the wonderful support of our patients and community over the past ten years. Drs. Seth and Dawn Reynolds are pictured above with their youngest daughter, Ellen, Chamber chairman Mike Johnson, left, and Chamber CEO Greg Alexander.